“Interestingly, Lace transforms and uses the darker elements of life like death – death and decay, abandon and neglect, as ingredients to foster in-between spaces, or platforms portraying fragility and vulnerability. For this, she uses for her reference, raw material – the world of nature, bits of our species, gut, light, insects, shark eggs, but equally bones – bones bled of blood – the remnants of life, the dead, where she then tries to resuscitate spirit as a way to a road that leads on. Site specificity is one of the things that stirs the imagination of Botswana-born Bronwyn Lace into fiery life. Born in 1980, she was educated at Wits University and focuses her intellect on the relationships between art and other fields, including physics, museum practice and education. 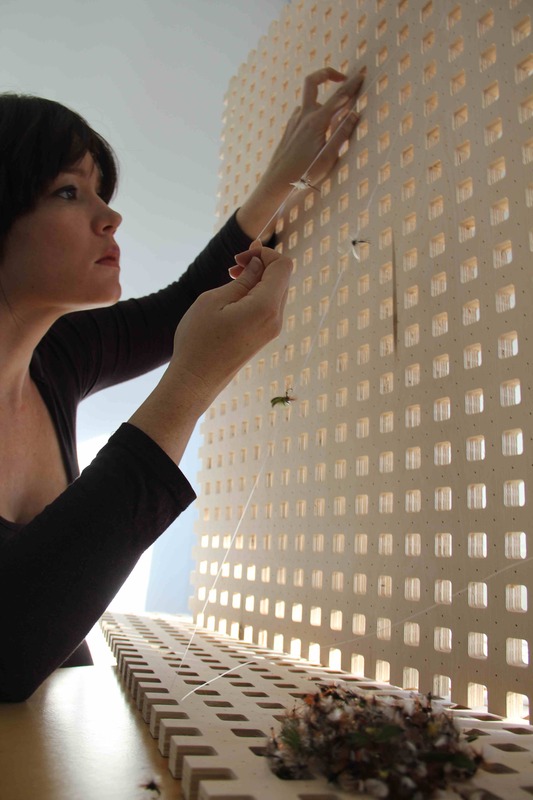 She elects to work with found, recycled and repurposed elements and builds her installation in situ, often with intricate threading and weaving. 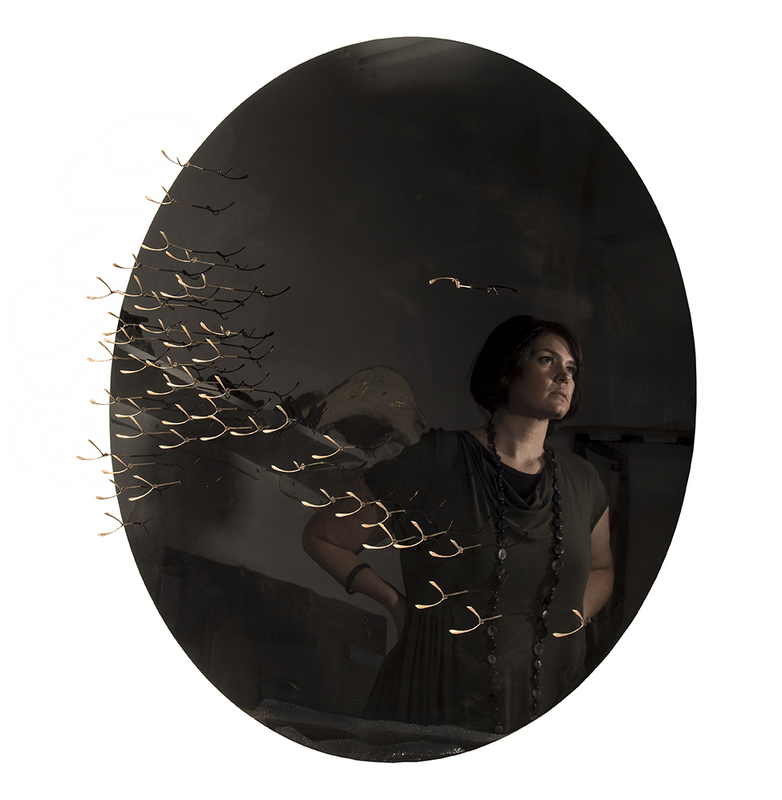 Light is a central component to all of her work, which is often interactive, playing with a diversity of approaches that has over the past years surrounded her audience with swarms of fishing flies, rearranged animal skeletons or thousands of shards of shattered stained glass. 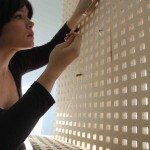 In collaboration with Marcus Neustetter, Lace initiated community and land art projects in South Africa’s small towns. Lace is currently the director for The Centre for the Less Good Idea, an interdisciplinary incubator space for the arts based in Maboneng, Johannesburg. Founded by William Kentridge the Centre aims to create and support new experimental, collaborative and cross-disciplinary arts projects.